In the context of a (Java) Selenium test it was needed to set-up a http proxy at the level of the browser. What I wanted to achieve it was exactly what is shown in the next picture but programmatically. 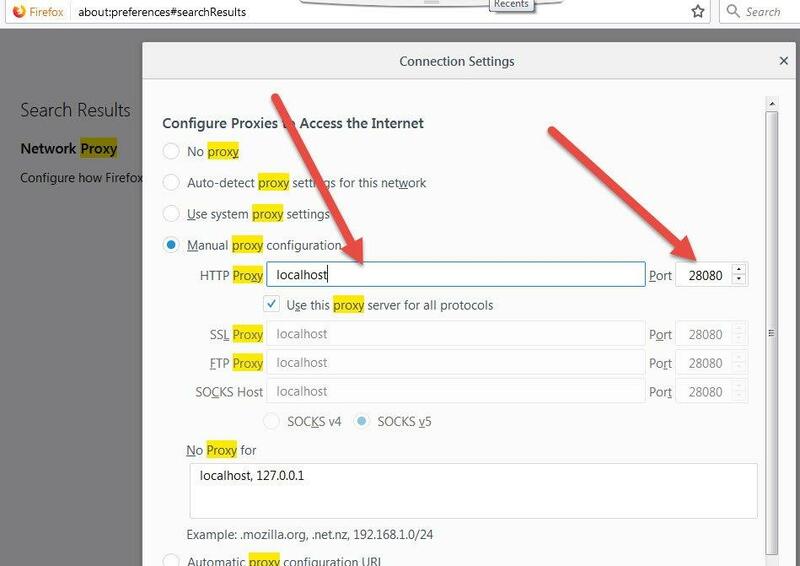 In this specific case the proxy was BurpPro proxy but the same workflow can be applied for any kind of (http) proxy. I know this is not really rocket science but I didn’t found elsewhere any clear explanation about how to do it. In my code the proxy url is injected via a (Java) system property called “proxy.url“.